Karri Decking - Online Port Adelaide. 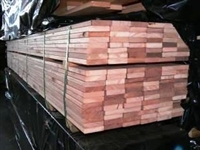 Karri Decking Packs to Clear - Online Pt Adelaide. Please note: Successful buyer is responsible for correct loading and transportation of all items and the compliance to strict site safety rules apply. There will be NO payments taken onsite at Pt Adelaide and payment can be made at 616 Torrens Rd, Woodville North or online. Buyers must have a paid invoice for collection of goods. Collection times are strict - Any items not collected within these times WILL BE FORFEITED - Paid in full invoice required to collect - Lifting facilities available onsite.